The Dukan Method is the result of doctor and nutritionist Pierre Dukan’s 40 years of experience and is one of the most successful dieting tools in the world today. Meet the official mobile app! • Reminders to drink water, with frequency settings. The app uses data from the standard Health app for reading and noting your average weight and kilometres covered/steps taken. The app is free to download. All customers are welcome to a free 7-day trial period. If you choose to continue use of the app, we offer a auto-renewing subscription options: monthly subscription is $4.99 per month, while the yearly subscription is $29.99 per year. • General updates and improvements throughout the entire app. Thank you for rating us in the App Store! The diet is great and I was wondering the app was a good way to follow it, but the translation is terrible, the names of the food are super strange, don’t match to the original word. It says Portuguese from Brazil (which is my language), but I really don’t know many of the words (names of food), and I have to search their meanings so I can realize what I really can eat. And also the numbers change, I don’t know why! I changed three times my birthday date and it doesn’t fix! I hope they fix these bugs and the app improves, because people are paying for it and it expect for a better service! Successfully used the Dukan plan to lose 36 pounds about 5 years ago and am returning for a refresher this year. The app is probably 200% better than the old online tracking system. I like nearly everything about it. The one tweak I might suggest is some different scripts by Dr. Dukan when tracking emotions. In very short order, I’ve found myself being a little bored by reading the same commentary daily. I recognize the need for reinforcement language, but for me, the commentary is long (I don’t have lots of time) and reading the same dialogue daily is probably not going to happen for me. Otherwise, the app is excellent and I’m doing great returning to the eating plan. Thanks for being there to lead the way to a healthier lifestyle, Dr. Dukan. 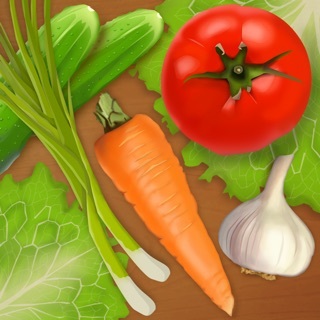 Great app for monitoring daily foods. Would be better if it let you change the phases(wanted attack longer). Does not receive data from fit bit. It comes up with numbers for steps and stairs, no idea where that data comes from.